San Francisco Forklift Certification, Get Forklift Training! If you’re going to San Francisco … leave your forklift certification and training to us! 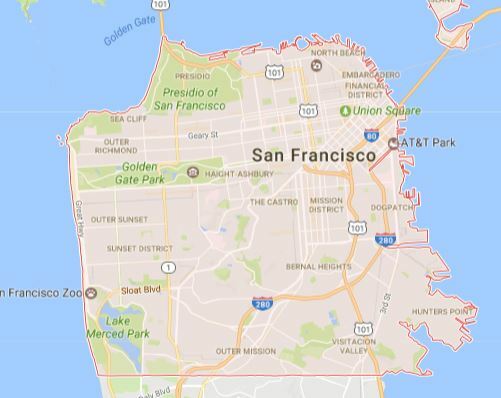 It’s the city that’s the home of the Golden Gate Bridge! Today, San Francisco is a top tourist destination renowned for cool calm summers, fog, steep hills and famous landmarks. It’s also a main banking hub and one of the lead commerce points of Northern California. 85% of San Francisco’s work force is comprised of small businesses or self-employed folks. New entrepreneurs flock to San Francisco to enjoy the town’s flexible, friendly commuter lifestyle. If you’ve been looking into a new career in San Francisco, consider becoming a forklift operator to enjoy a recession-proof career and countless job opportunities. Why San Francisco Forklift Certification? For those in California looking for forklift training in San Francisco, the job market has some great things to offer for those who have taken forklift classes. While forklift operators are always in demand for the transportation, manufacturing, and construction industries, companies are looking for only properly trained and certified workers. Forklift certification San Francisco is essential to a safe and long career as a forklift operator. It is the best way to ensure the safety of the workplace and to prevent serious accidents. For this reason, OSHA requires that all forklift drivers complete forklift training, so employer look for this resume credential in order to avoid costly fines and legalities. All it takes to get your forklift certification San Francisco is a few minutes on our website creating an account. Learn more below! There are many great companies offering positions to qualified people with the proper forklift certification. San Francisco manufacturing plants are plentiful and warehouses always seem to be hiring trained operators. Keep reading to learn how to get certified. Additionally, you can find job openings asking for forklift mechanics, dock workers, warehouse employees, retail workers, special event workers, and more when you complete your San Francisco forklift certification. Swissport International Ltd. Is a ground service provider for over 100 million passengers and over 3 million tons of cargo for a variety of aviation clients. Visit them at the San Francisco airport, or click here for more career info. One popular company that’s in constant search for forklift drivers is Rich Products Corporation – the world’s first non-dairy whipped topping! Drivers with forklift training in San Francisco are encouraged to visit their office at 1511 Grandview Dr, South San Francisco, CA 94080, or check out their website. You can also get help from these career webpages that cater to forklift and construction staffing and placement for those with forklift certification. San Francisco temp agencies include: Remedy Intelligent Staffing and Kelly Services. If you haven’t yet received your forklift certification in San Francisco, don’t worry. Many companies are willing to train you when you’re hired, but you can ensure a better future and have a leg up over other potential employees if you have your forklift certification that is compliant with OSHA. San Francisco employers want to ensure that you’ve passed your exam and you have both hands-on and written training in operating a forklift to be a productive worker and prevent accidents from happening. You don’t have to wait for something good to come your way – by getting the proper forklift certification San Francisco you can ensure your future! Employers are ready to hire people just like you who have the proper forklift training. We’ve created our forklift training program at CertifyMe.net to get you in a new job and behind the wheel of a forklift in less than one day. Our online course can be accessed anywhere you have an internet connection and takes only about one hour to complete, although it is completely self-paced. Once you’ve completed the online portion of your training, you’ll have immediate access to a printable certificate. Create an account and complete your San Francisco forklift certification today! Considering forklift training in a different California city? Learn more about California Forklift Training.